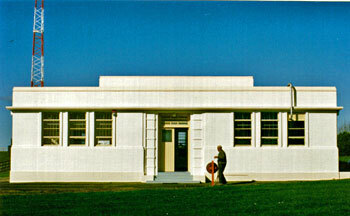 The Musick Memorial Radio Station at Musick Point was originally a receiving station only. The transmitters were located several kilometres away in Oliver Rd. When Auckland Radio closed in 1993, the transmitter site was dismantled and the land is now a residential area. The transmitter building was located at the approximate location of what is today a home at 6 Villa Court (see map below). Operators at Musick Point were connected to the transmitters (keying and audio circuits) via two telephone cables laid along different routes for redundancy. 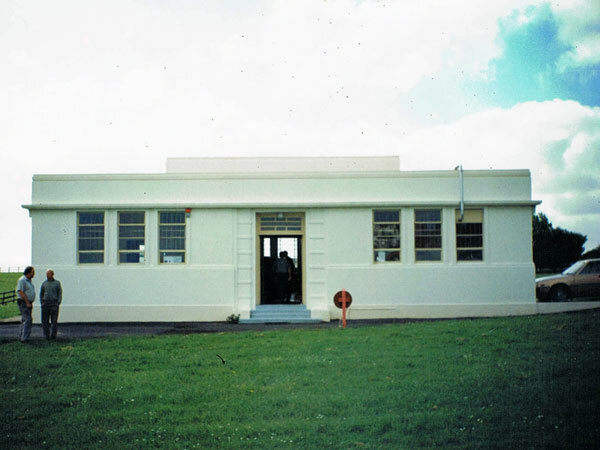 While Musick Point was the picturesque control centre for Auckland Radio – where operators tuned their receivers and communicated with ships and aircraft via telegraph key or microphone while admiring the ocean view – the station’s transmitters were three kilometres to the south, at the root of Musick Point. The transmitting station was built in the same Modern style as the Memorial Station. It housed 18 transmitting sets in 1946 and the largest had a power of three kilowatts, while the smallest was 100 watts. 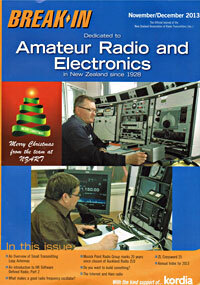 When Auckland Radio closed in 1993, the transmitter site was razed. The transmitters were rescued by the Musick Point Radio Group and moved to the Musick Memorial Radio Station. 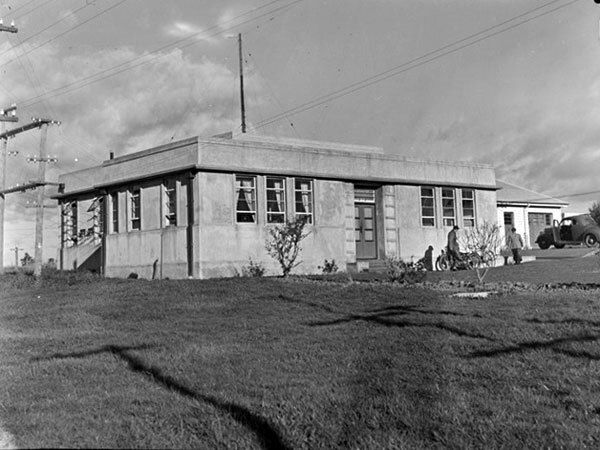 Auckland Radio’s Oliver Rd transmitter building shortly before it was demolished. The towers have been removed.